For the second consecutive season, the Penguins' organization teamed up with the Dollar Energy Fund to help raise money for those in need. 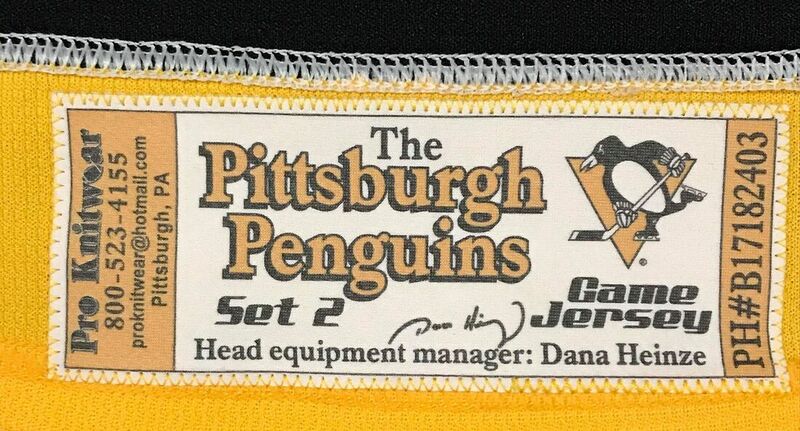 The Penguins offered up a set of jerseys worn for one game to be auctioned off. 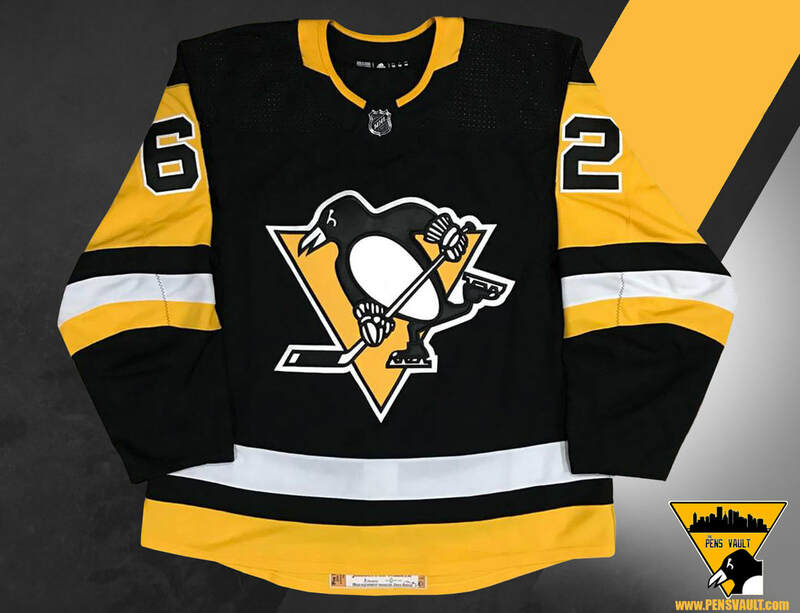 These jerseys were worn on January 13, 2018 at home against the visiting Detroit Red Wings. 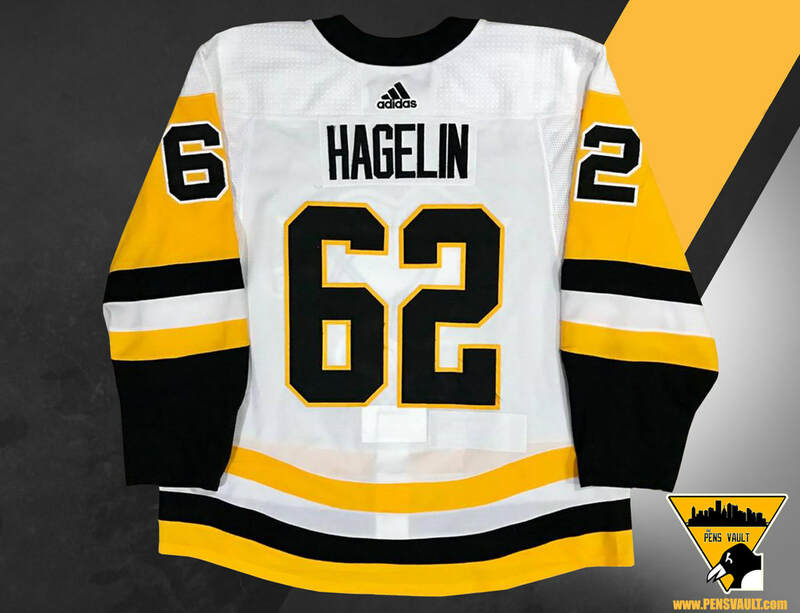 ​ Carl Hagelin wore this jersey for the game on January 13th. He assisted on Evgeni Malkin's 1st period tally just three minutes into the contest. 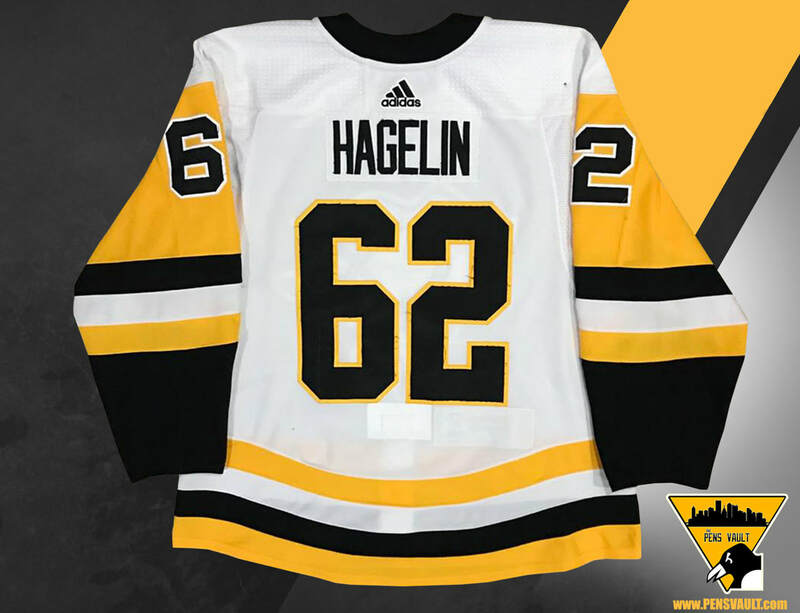 Hagelin played just over fifteen minutes in the game. He finished the night with a lone assist in the Penguins 4-1 triumph over the Wings. Carl Hagelin had a sluggish start to the 2017-18 season. In his first forty-one games, Hags only registered six points. 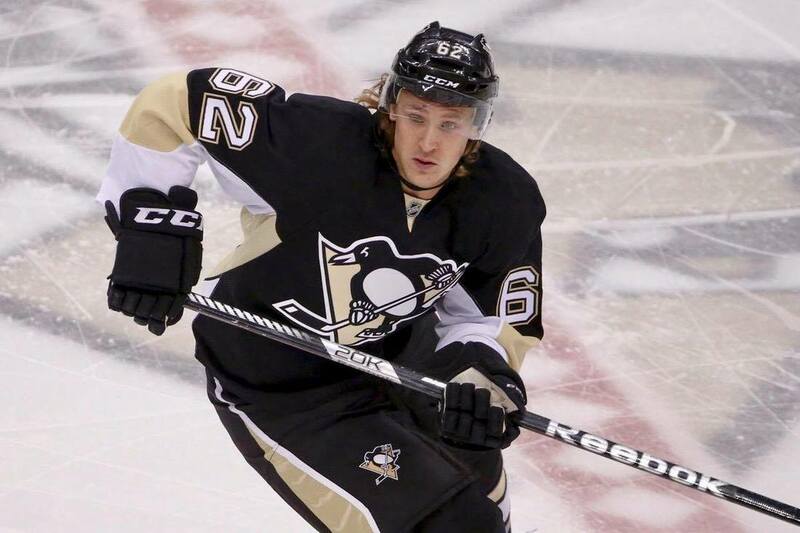 Hagelin's health was brought into question at this time. In an interview Hagelin stated that his game usually picks up right around the first of the year. That statement was surprisingly accurate. Hags logged twenty-five points in the second half of the season, being true to his word. 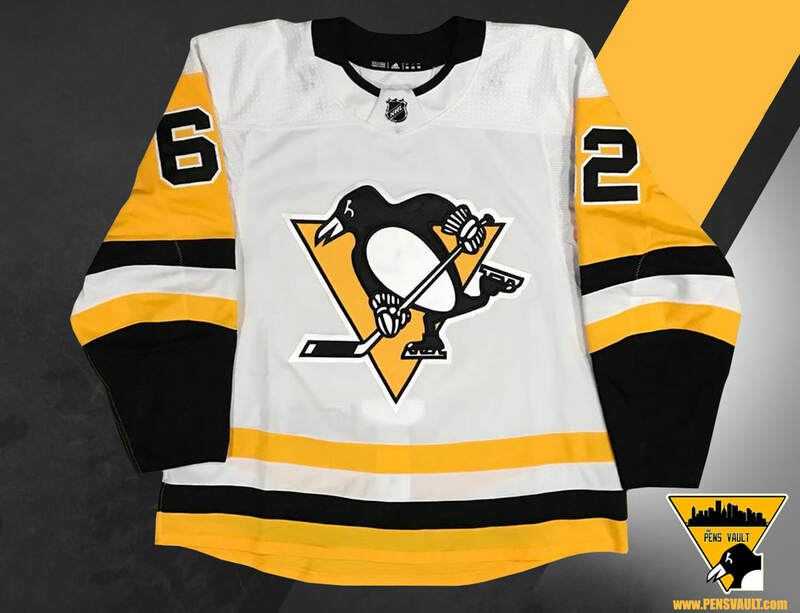 ​ The Penguins switched to their set two jerseys on January 17th 2018. 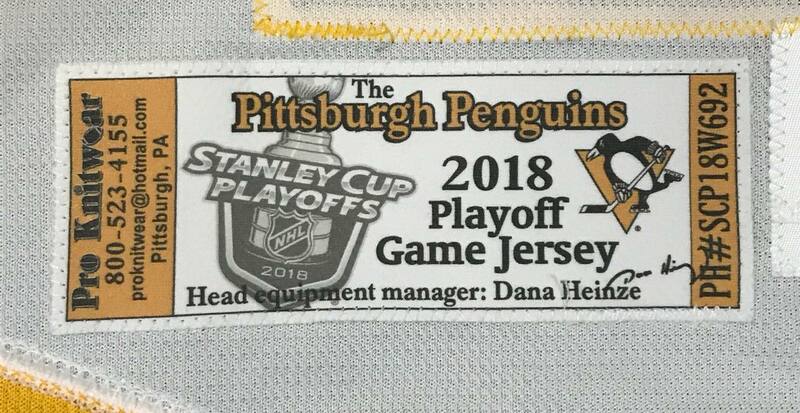 The early change out was due to the removal of the NHL Centennial patch on the right sleeve of the jerseys. 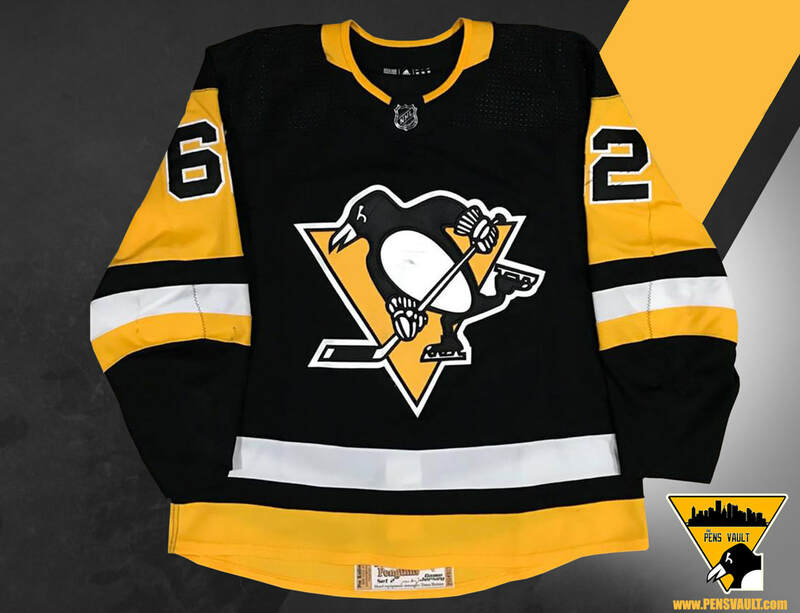 Hagelin wore this jersey for twenty-three games. He scored five goals and added ten assists. He also held a plus two rating along with eight penalty minutes. 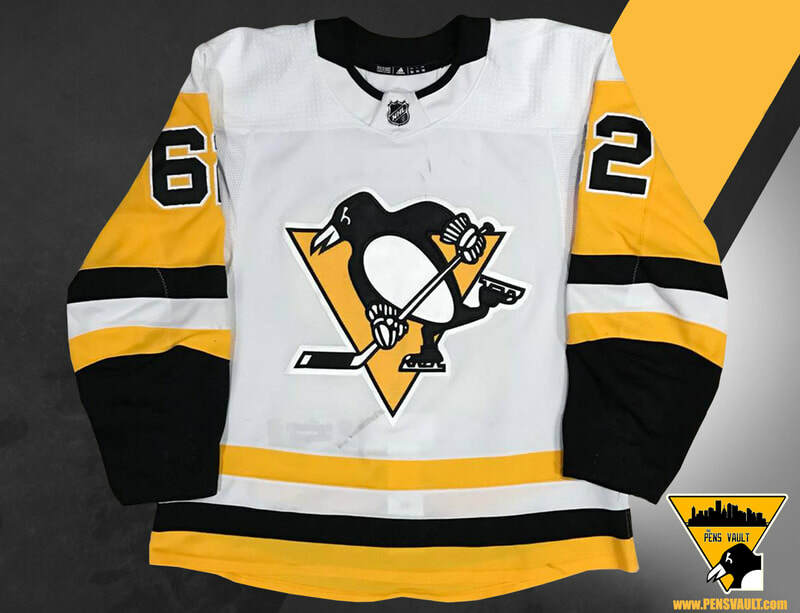 On January 14, 2018 Hagelin recorded his 200th career point against his former team, the New York Rangers. Carl Hagelin continued his strong second half of the season scoring a combined twenty-five points once the calendar flipped to 2018. 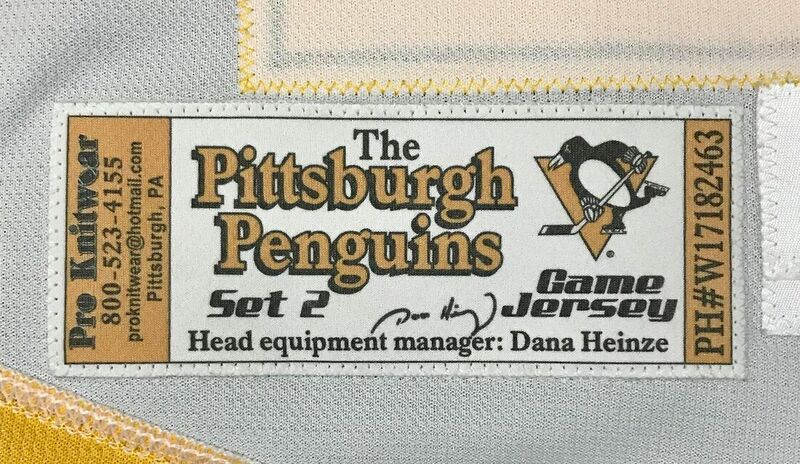 The Penguins usually change to their set two jersey's at the beginning of the calendar year, however due to the NHL Centennial patch being removed on December 16, the Penguins made the switch earlier. 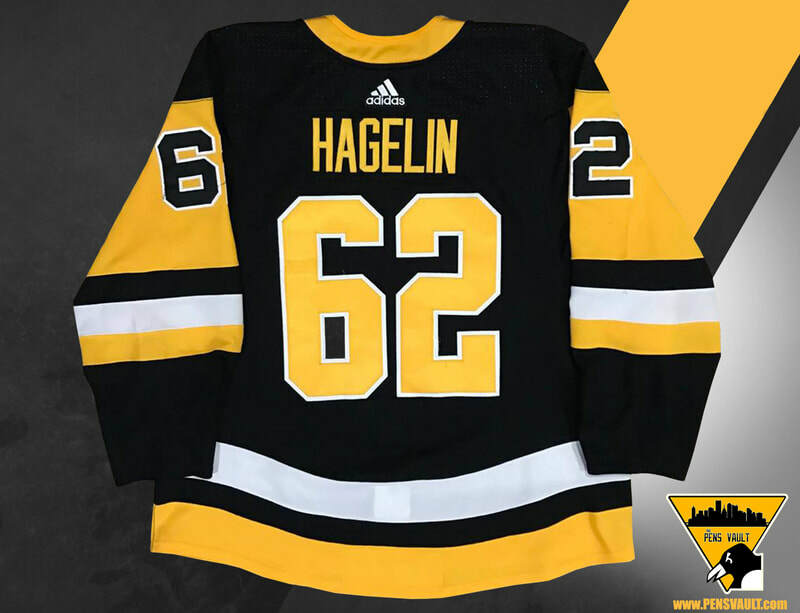 ​ Hagelin wore this road set two jersey for twenty-three games. He scored three goals and added six assists. He also held a plus nine rating and logged two penalty minutes over that span. The Penguins began their quest for the 3 peat with a first round matchup against their cross state rivals, the Philadelphia Flyers. The Penguins finished the flyers off in six games to advance to the second round. Hagelin Scored a goal in the Penguins game six victory over Philadelphia. Hags was blindsided with a hit from Flyers' captain Claude Giroux which forced Hagelin to the dressing room. He did not return. It was later reported that Carl nearly bit his tongue off as he was hit. Hagelin missed the first two games of the second round against Washington. 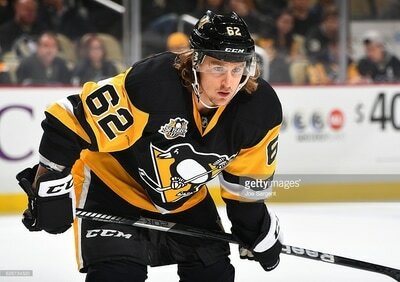 Hagelin returned for game three as the Pens beat the Caps by a score of 3-1. The Penguins ultimately lost the series to Washington in six games. ​ Hagelin dressed for four playoff games due to his injury. He scored one goal (PHI), and picked up two penalty minutes along with a plus one rating.